Young students often don’t think about the adults in their lives outside of the roles they’re in. For example, a teacher is a teacher to a child. Even though the adult might be a great musician or painter, the child would never accept that because day-in and day-out the teacher is teaching the students the lessons. The same goes for crossing guards, bus drivers, and school principals. 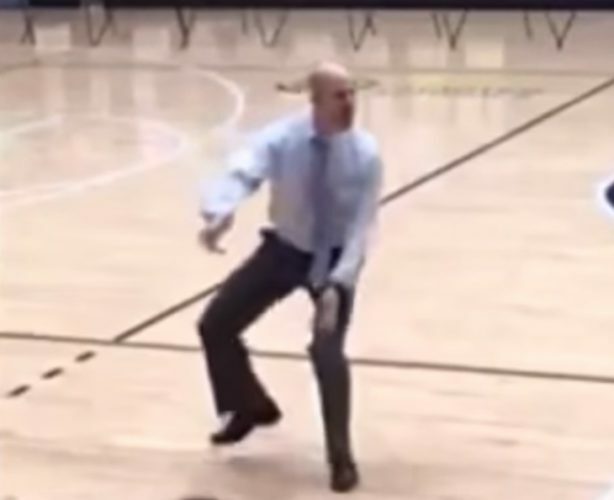 That’s why students doubted their principal Tyson Kane when he told them that he was a dancer. Although he was always considered a “cool” principal at the school and the children loved him, they never suspected that he had a secret life as a dancer. 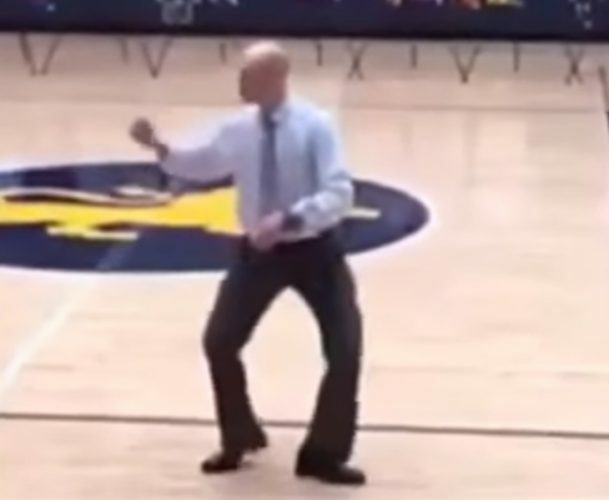 In the viral video below, you’ll see Principal Kane proving to his doubtful student body that he is indeed a great dancer. As he stands in the center of the gymnasium, he waits for the music to drop then he drops down into a series of breakdance moves that leave the children in the stands in awe. They’re utterly stunned that he is able to dance like that even though he is their principal. But he proved to them all that he earned the “cool” label through displays like this. Kane has been a superb educator for a long time. During an interview with the Business Wire, he admitted that he always wanted to be a great teacher and leader for today’s youth. And because he has done just that, he won the Ryan Award for exceptional leadership. He always felt that being a great teacher was the perfect way to help his students – so he strives to do that every day (even if that means he has to get out on the gymnasium floor and perform a break dance routine every once in a while). In the interview, Principal Kane urged all educators to step up and do the best job they can because they play an important role in shaping future generations in the United States. Kane understands that for a teacher to be great, they need to have support from leadership and the independence to do what they know is right. But Kane also believes in the element of surprise. Children love novelty, so when he got up in front of them at the school assembly in the gymnasium, he used the opportunity to give them something no student expected. 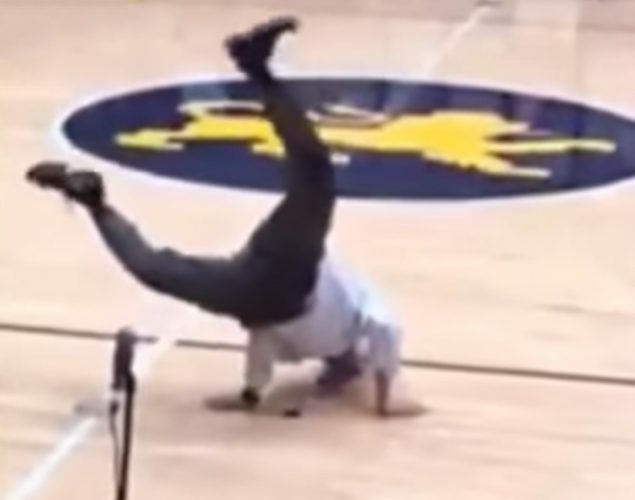 And the breakdance routine left the children in shock and with more love for their principal than ever before. Take a minute to watch the video below. You’re going to love watching Kane display his dance moves in front of the Chicago charter school. What do you think about the way this school principal approaches his job? Should more teachers take an active role in their relationship with students and the work they’ve been tasked to do?